Raising children is not easy no matter what era. But more often than not, parents and their offspring debate on who had it easier when it comes to raising children. Baby Boomers talk about their old-school ways and convey a mixture of bragging with complaining about the smart home devices that today’s parents have at their disposal to help monitor and take care of their children. “Back in the day, we didn’t have those”, they say. But Millennials have a logical argument to counter: “back in the day” they had more help from their own parents, who – different from today - were, at large, retired already. It’s that Agequake and the population pyramid problem we have already talked about. With the medical advances, humanity has achieved, we are living with quality longer, which makes us leave the workforce later, which, in turn, makes younger parents not able to resort to their parents for help with raising children. That might also be a contributing factor to the birth rate decrease over the last decades. It was so common to have 3 to 6 kids, and nowadays – due to the fast-paced life and impossible living costs - that idea is viewed as very unusual or almost frowned-upon. The general middle class can’t even picture it; it’s typically something that only the most financially privileged or the least educated really consider. So the first undeniable premise is this: times have changed. Private Schools, Charter Schools, Homeschooling… when it comes to the formal education of their kids, parents these days have all these alternatives to Public Schools which can be seen as a good thing older parents didn’t have. If their “values” weren’t represented in the schools available, they would have to work harder to make sure their kids would follow its preferred principles and would enforce that either in-person at home, or at churches etc. But what about the number of hours and commitment students are required nowadays? It’s unprecedented. Back in the day, kids had much more free time to run around and play outside until the street lights came on. Parents didn’t have to worry so much about their safety because of several reasons: the streets were less crowded, which in turn made for fewer car accidents, child kidnapping, and other hazards. It was easier for one neighbor to keep an eye on everyone, freeing parents to do their own thing. 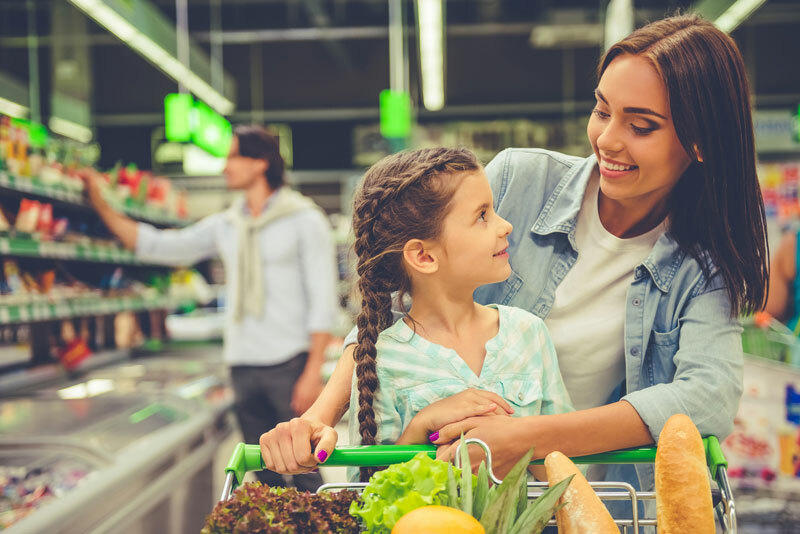 Nowadays, parenting is a non-stop activity that will cost money if you want your kid’s development to have some independence from you – and, as we all know, money is something Millennials don’t have a lot of. Not only the costs of many after-school activities but the time it takes for one to pick their kids up from school and drive them to the places where these activities happen can be brutal. And what about the psychological aspects of parenting today compared with some time ago? While social media is yet another thing for people to worry about when it comes to raising their children, this culture of fear is nothing new and one could argue that it was much worse back then. The Cold War presented a never-ending prospect of imminent annihilation by way of nuclear explosions. Kids went through nuclear explosions drills at school. But well, we guess this one was replaced by the dangers of school shootings – a reality that, sadly, happens much more often than yesterday’s nuclear threat. With all of that, there are some things where it’s undeniable where one might have had it harder than the other. Special Needs Children, for instance. Just so you understand the drama: “back in the day” there wasn’t even this denomination for the condition. Baby Boomers parents were trailblazers when it comes to special needs parenting and we owe them all the advancements hard-won by their struggle, whether active or inert, through love or pain, by trial and error. It’s not fair to say that current parents “have it easy”, though. Children on the Autism Spectrum Disorder (ASD) need safer homes still, there are a lot of things we as a society need to do better when it comes to dealing with special needs children and adults. But, yes, a parent bringing a special needs children to the world right now has many more resources, support and an overall understanding of what awaits them. Special needs parenting is never easy, but it was much harder than it is today and we hope 10 years from now, special needs parenting gets even less hard. All of those questions of who had it harder when it comes to raising children poses the question of what is good parenting in the first place. Independent from the time in which the act of parenting is inserted, good parenting is allowing your child his/her individuality making sure he/she doesn’t fall on too traumatic traps and unredeemable precipices. Good parenting is being present without suffocating. It’s providing all the tools the child needs to develop their best self while on his/her own. So it’s a difficult measure, really. You can’t be too controlling, otherwise the kid will grow up to be a repressed adult, but you can’t be too liberal, otherwise, your kid will grow up with no boundaries and respect for others. You can’t be too giving, otherwise the kid will grow up to be an adult who waits for things to fall on their lap, and you can’t just throw your kids out there with no support, otherwise they will grow up to be not only psychologically damaged but way behind anyone else in the “race for success”. And that takes a lot of time and effort and can be an enormous burden. That’s why the joys of parenting are so big; otherwise, no one would go through it. Through hits and misses, it’s important for parents to have empathy and support. From family, from friends, and even strangers. Western society can be cruel regarding empathy. How many times have strangers reprimanded parents regarding their children's behavior in a rude way? Even if they think they’re not intruding with a simple “Why don’t you try X?”, when a baby is crying, for instance. Strangers don’t have the big picture of what’s behind that cry. Is it a new tooth? A fever? Or maybe it’s nothing - babies cry; it’s how they express themselves! And the parents might not have had anyone to drop the kid off with (or didn’t have the confidence to do so), and it’s their anniversary or the only time they could manage to have some time together, and there you are annoyed because the baby is taking a little longer than you’d like to get quiet. It can be disturbing at times but we have to do better when it comes to those interactions and find a nice way to intervene – if we really can’t hold it in to ourselves and let it slide; in 30 minutes (or even less) the kid will be an annoying memory, while the parent will still have to deal with the kid and the difficulties of raising children. If you have passed through that and you think it wasn’t that difficult: good for you; you are blessed! Check your privileges and feel empathy for the ones who have difficulties with it. How do you feel when someone diminishes the difficulty you have with the things you are not good at? In conclusion, just like there is no formula to answer what is good parenting, there is no answer to who had it easier raising children. As much empathy as we can feel for others, no drama is as dramatic as our own because only we feel it in our skin. And that’s the beauty of empathy, actually. Humans are the only animals who can feel it and decide to act (or not) on it, in a way that even feeling so much for ourselves, we have the nobility of being understanding of others’ struggles to the point that we, sometimes, even put their needs in front of ours. Which is, come to think about, is, in fact, a piece of sound advice for people wanting to understand what is good parenting: raising children right it’s all about putting your kids need in front of your own.